If you’ve ever wanted to eat the most decedent biscuits and gravy in the entire world, look no further than Disney’s Old Key West Resort in Florida. I’ve stayed at this resort three times, and only ever discovered the wonderfulness that is Olivia’s Cafe back in 2015. I could kick myself for missing out on such good food for all these years. Disney’s Old Key West is just that…old key west. It has all the refreshing and tropical vibes that one would expect to experience in the vibrant, relaxing Florida Keys. Plus it’s overtly charming. On every vacation, we make it a top priority to stop in at Olivia’s Cafe for some good coffee, buzzing atmosphere and of course, their sausage gravy and biscuits. While they no longer serve it as the main dish, you can still dig in and order it as a side. But honestly, they are so filling that you don’t even need to get anything else. I asked John what his favorite thing about staying at the Old Key West Resort and he said, “It has a cool vibe to it. Olivia’s Cafe. Best sausage and biscuits evaaaaaaaaa.” John’s a man of many words and elongated expressions. I’ve stayed at a lot of Disney World resorts over the years, ranging from Old Key West, to the All Stars, to the Boardwalk, Yacht & Beach Club, Port Orleans, and excitingly, the Contemporary and Coronado Springs this fall. But this resort holds a special place in my heart. 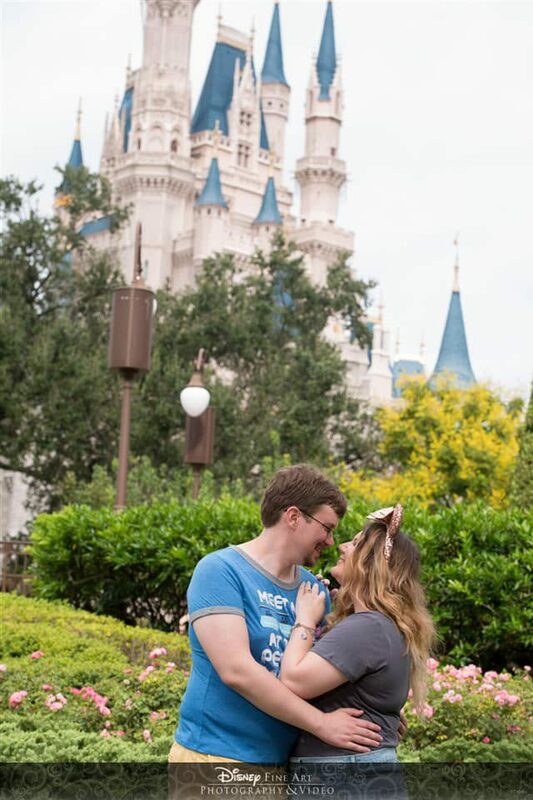 We stayed here during our very first Disney World vacation together and took a lot of time to explore the resort and what they had to offer. We spent hours in the pool where they have these giant sandcastles. We laid on hammocks underneath palm trees. We sat outside underneath an umbrella reading a book, not talking, just soaking up the sun and enjoying the scenery. Old Key West offers complimentary boat transportation to Disney’s Hollywood Studios which we took advantage of almost every night. There was something so naturally relaxing about taking a boat ride at dusk, watching the beautiful Florida sunset over rows and rows of palm trees, flowers and subtle music playing in the background. Old Key West is naturally so picturesque that it’s always on our list of Disney Must-Do’s. What are you waiting for? Book your Disney vacation now!